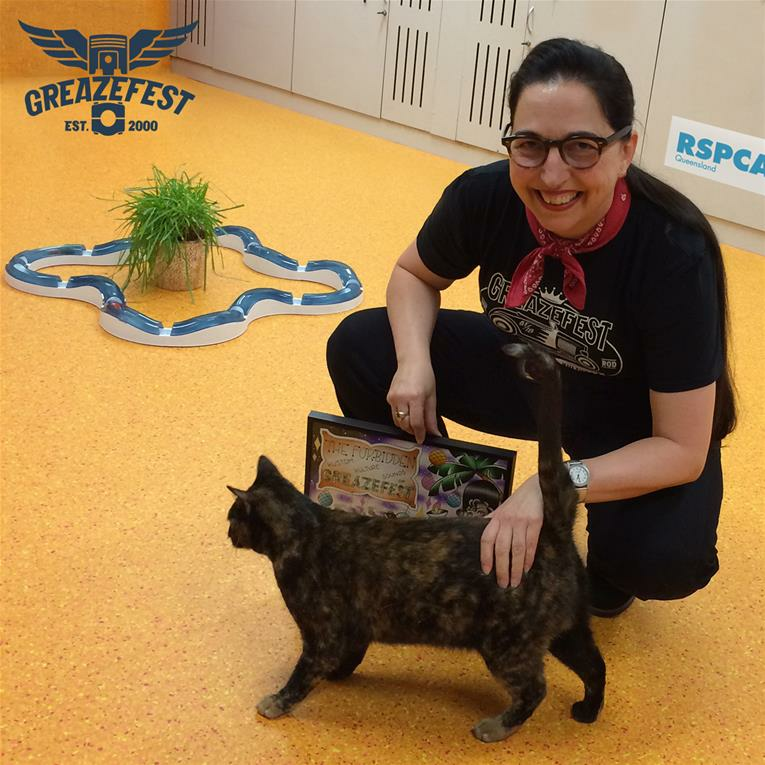 Today is our annual donation day for the GreazeFest 2017 Art Challenge, where 17 kustom artists designed record album covers in support of the RSPCA. The public voted for their favourite album by donating a coin, or purchasing the artwork. The Art Challenge this year raised a total of $1730, which was donated to the RSPCA today, which means we have donated around $10,000 to date.